Tomorrow is the last day of the Feeling Stitchy's Covered in Stitches contest and I'm blown away by the submissions so far. You can check them out in the Covered in Stitches Flickr Group. Clearly many talented embroiderers are also into books and reading! We will have a hard time choosing a winner. 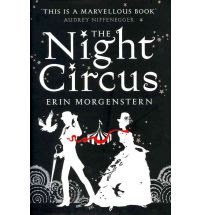 Currently I'm reading Erin Morgenstern's Night Circus and I'd love to make an Embroidered Cover design for that book. It's a great read so far: magical and delightfully odd and I'm a bit sorry that I have nearly finished reading it! 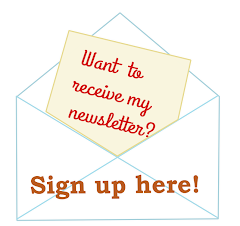 But maybe you have some great book recommendations for me? Do let me know your favourite reads! Just looked at the photo stream - what talented stitchers! Beautiful projects! I spent yesterday reading Night Circus. Obviously I couldn't put it down! And it would make a dramatic embroidered cover! I just found your blog thru We Love French Knots. Looked around & became a follower! I'm new to embroidery - love your work. If you like a bit of magical in your reading, you might try Sarah Addison Allen - I've read all 4 of her books - delightful! After seeing the photos I think it will be a very difficult decision to find the winner!!! I'm in a fantasy fase so I'm enjoying 'the wheel of time' saga by Robert Jordan (the last book of 14 will be publish probabily in next March) and the 'Inheritance' Cycle by Christopher Paolini (the last book, of 4, was published this November.